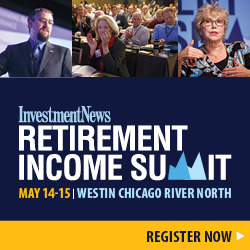 Indexing Capital Gains is Proposed – But what about retirement accounts? There has been talk in Congress about indexing capital gains for inflation. This has largely been under the radar… until this week when the story hit the front page of the New York Times, where the story states that the White House might try to do this on its own without legislation. The legality of this end run around Congress remains to be seen. But regardless, this proposal will get people talking to their financial advisors for planning opportunities. The House bill currently known as the “Capital Gains Inflation Relief Act” (H.R. 6444) was introduced on July 20, 2018 from the House Ways and Means Committee. It has been suggested by Committee Chair Kevin Brady (R-Texas) to include this in “phase 2” of tax reform being proposed now. In a nutshell, the tax on capital gains for property held at least three years would be reduced by increasing the cost (the basis for determining gain or loss) based on an inflation index factor from acquisition to sale date. A taxpayer purchases 100 shares of XYZ, Inc. on January 1, 2019 for $100. The taxpayer sells the shares 5 years later on January 1, 2024 for $200. Assume that, when comparing the GDPD for the relevant quarters, the GDPD increased by 15%. Thus, the taxpayer’s indexed basis is determined by increasing his adjusted basis by 15%, or $15 (which is $100 multiplied by 15%). As a result, the taxpayer recognizes $85 (which is $200 minus $115) of capital gain on the sale of his XYZ, Inc. stock. While this proposal seems simple, it won’t be. It seems like it would be a recordkeeping nightmare, just when we are trying to simplify the tax code. How would it work on the multitudes of stocks and funds purchased at different times over many years? I guess the answer will be to have some computer algorithm to figure it all out and morph that into the tax preparation programs. It seems unworkable on its face, but be that as it may, I guess anything is possible. There’s no mention of 401(k)s , IRAs and other tax-deferred retirement savings accounts. Indexing of gains in tax-deferred retirement savings would have a much more dramatic effect on those who have saved for retirement who also have seen their purchasing power diminished by inflation. Under this proposal retirement accounts become a second-class citizen at a time when every study shows people are not saving enough for their retirement years. Yes, it’s true that there is no such thing as a capital gain within an IRA, since no gains or losses are recognized within tax-deferred retirement savings accounts. But that doesn’t mean there has been no loss to inflation, the same as with non-retirement savings in stock accounts. Not only is there no capital gain concept in retirement accounts, but all taxable distributions are taxed at much higher ordinary income tax rates. I believe the proposed legislation would have many more supporters if retirees could benefit as well as other investors. This would reduce taxes for retirees who have saved for decades. Why should the increase in retirement accounts due to inflation be subject to tax when non-retirement investments get a tax break? Could this change in the taxation of assets cause a drop in future retirement savings? Plan participants will have to look at the estimated results of putting their savings into a tax-deferred (or, in the case of a Roth account, tax-free) account or into an account that would receive an inflation adjustment to see which type of savings would give them a better result. This proposal would have a dramatic negative affect on saving in an IRA, 401(k) or other retirement savings account. Why should retirement savers be excluded?